A simple and elegant way to showcase valuable or fragile items for either purchase or presentation, this secure and attractive wall cabinet is a convenient and space-saving way to display your products. Ideal for use in retail environments, corporate reception areas, museum showcases and more, the wall mounted cabinet maximises the available display space by utilising unused vertical space, keeping valuable floor space clear and available. 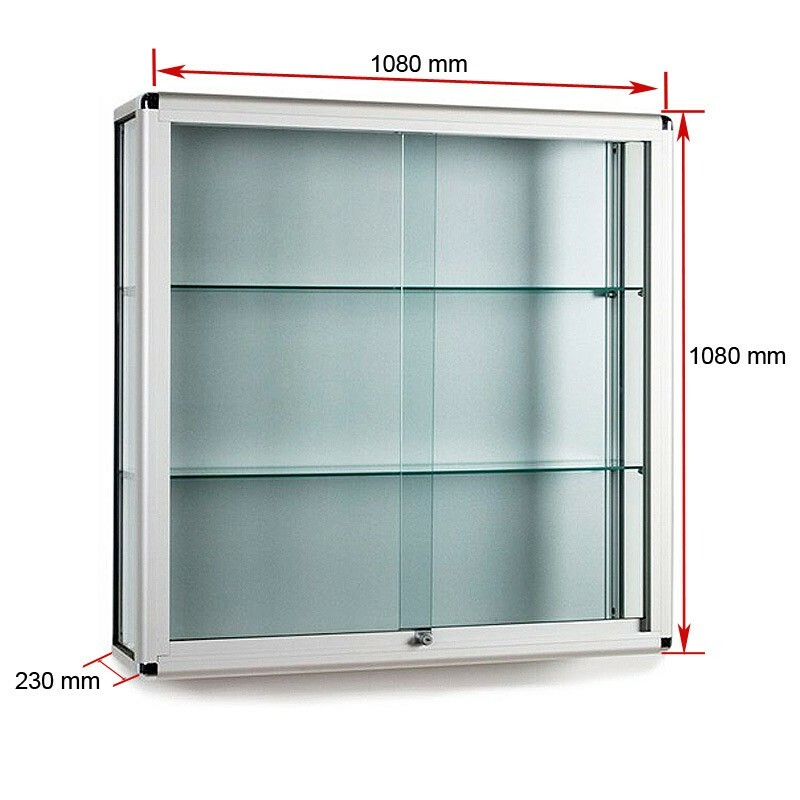 Featuring two adjustable glass shelves, the cabinet can be configured to fit your collection, which remains securely protected behind lockable sliding glass doors. Made of toughened glass with strong aluminium frames for safety as well as security, the high-quality tower showcase keeps the items stored inside easily visible but safely out of reach to all but the key holder. 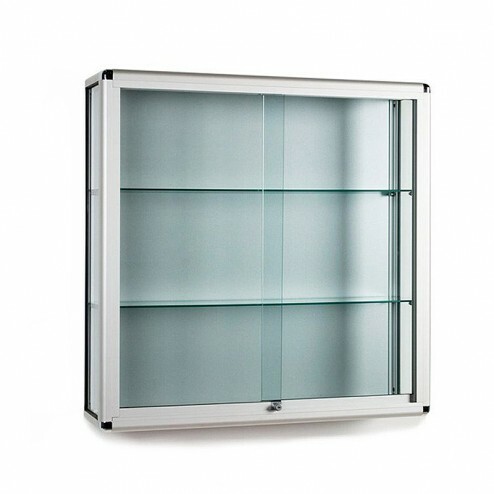 The sleek anodised aluminium case can be securely and easily wall mounted, and the glass display case is conveniently delivered fully assembled – ideal for when you need a display in a hurry. Strong, durable and reliable, this wall display case is a secure and eye-catching way to display your products in-store to maximise visual impact and sales promotion. 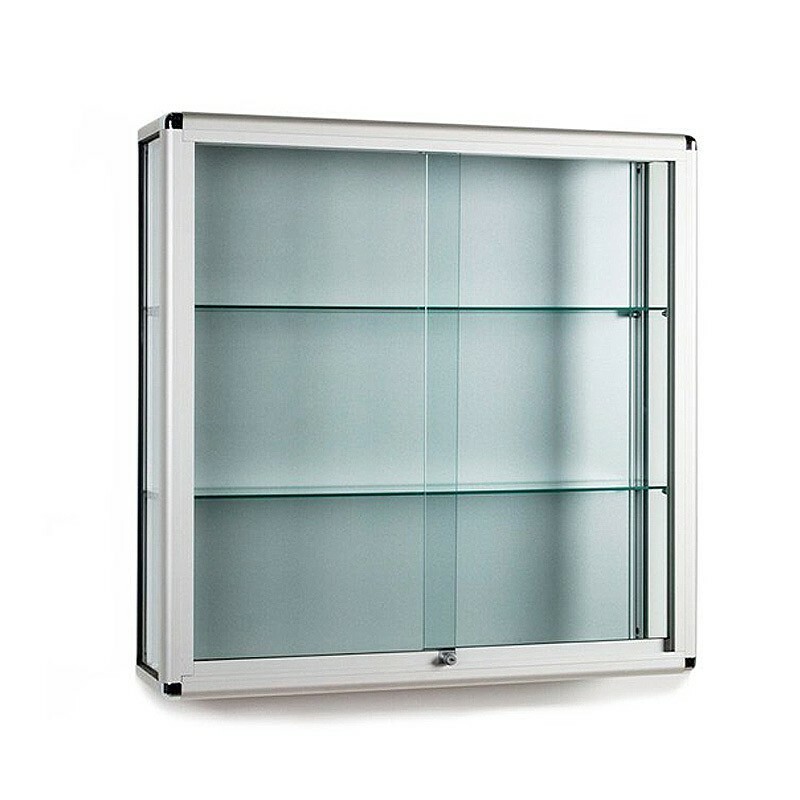 The clear glass and metal construction add a contemporary and professional feel to the products on display, perfectly complementing the fragile and valuable items you choose to display inside it. A great choice for high-end retail point of purchase displays, corporate branding materials and historical artefacts in museums, the wall display case can also be fitted with two optional downlighters, for an even more elegant and unmissable display.